In a shocking turn of events, SLB’s 150 crore budget Padmavati movie is facing another shot of blaze. Shri Rajput Karni Sena has condemned the vi“olence and denied involvement in the incident. “This could be a suicide. This is not our way of protest. We condemn this,” says Mahipal Singh Makrana, Karni Sena President. According to reports, the deceased has been identified as 40-year-old Chetan Saini, a jeweler. His Aadhar card was found in one of the pockets and based on it, a police team has been sent to his residence for further investigation. The police cannot confirm if it was a suicide or a murder as the investigation is at initial stage. 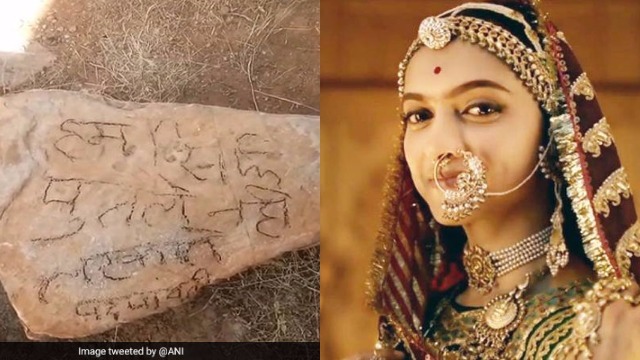 This shocking incident comes only a day after the British Board of Film Certification (BBFC) certified Sanjay Leela Bhansali’s period drama Padmavati in the United Kingdom. However, the Rajput head of UK have asked to ban the movie release. Rajput Karni Sena chief Lokendra Singh Kalvi had expressed his anger over the same and demanded a global ban on the film. Padmavati stars Deepika Padukone, Shahid Kapoor, Ranveer Singh, Aditi Rao Hydari and Jim Sarbh. It is co-produced by Viacom 18 Motion Pictures and Bhansali Productions. The magnum opus was originally releasing on December 1, but now, has been postponed for the obvious reasons.